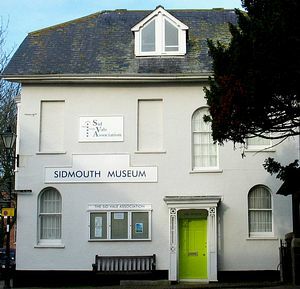 "Something for everyone, of all ages", is the motto of Sidmouth Musem with its interpretation of Natural History and the Jurassic coast. Permanent displays of Regency and Victorian Sidmouth, the arrival of the railways and the Jurassic Coast are complemented by special annual exhibitions. The many notable residents, royal and other distinguished visitors are commemorated; displays of local lace and costumes accompany prints, photographs and pictures of old Sidmouth. Youngsters have their own dedicated area and activity days. The Red Rocks Jamboree Day, for all ages, is a special celebration of the Jurassic Coast. Free guided strolls take place every Tuesday, Wednesday and Thursday, between 5th April and 27th October. Tuesdays & Thursdays depart from the Museum at 11.00am to explore the architectural gems of the town; Wednesday afternoon strolls depart at 2.00pm for a stroll along the Esplanade explaining the formation of the Jurassic Coast. 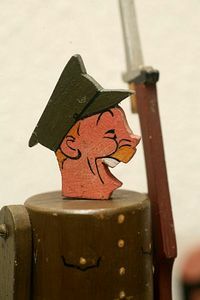 The small shop provides a wide range of interesting and unusual items. Special activity days take place throughout the season.